The HES 7000-630 is a 24VDC (models 791 and 792) electric strike that comes in a satin steel finish. The strike's modular deisgn accommodates both cyndrical and rim exit locksets and latchbolts from 5/8" to 3/4" throw. The included pre-load release function allows the strike to operate under higher load pressure and varying hot/cold weather conditions for efficient year-round operation without warping or weather stripping, which commonly happens with traditional electric strikes. 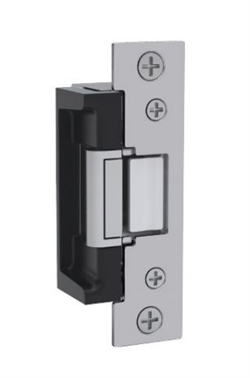 The HES 7000-630 is tamper resistant and can be installed on any wood or metal frame. Ideal for high-usage doors. Strike body depth: 1 11/16"